Acupuncture points are places on the skin that have a lower resistant to the passage of electricity than the surrounding skin. Inserting needles at these points stimulates various sensory receptors that, in turn, stimulate nerves that transmit impulses to the brain. The brain then releases the body's natural pain killing hormones (neurotransmitters and endorphins). It is estimated that endorphins are 200 times more potent than morphine. Endorphins also play a big part in the functioning of the hormonal system. 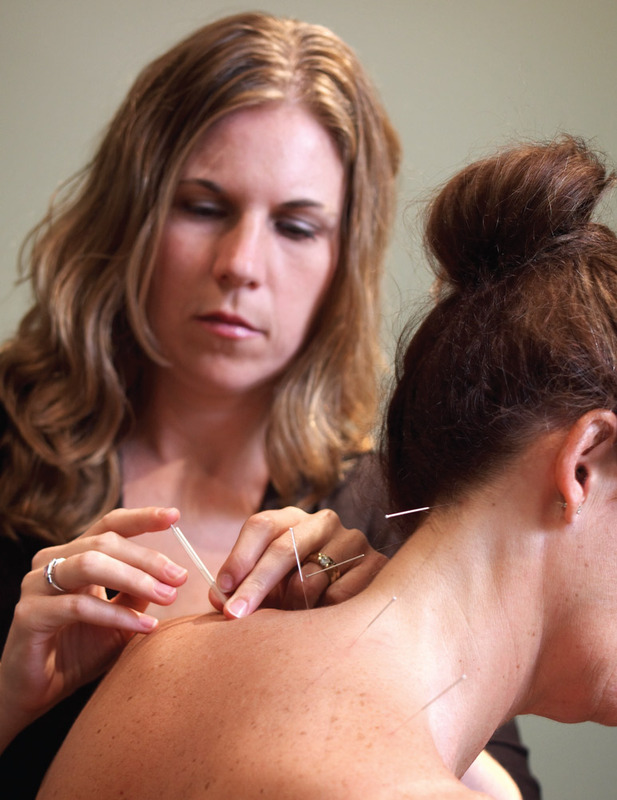 This is why acupuncture works well for back pain, headaches, arthritis, and PMS. The substances released as a result of acupuncture not only relax the whole body, but also regulate serotonin in the brain which plays a role in the human and animal disposition. This is why depression is often treated with acupuncture. Some of the physiological effects observed throughout the body include increased circulation, decreased inflammation, relief from pain, relief of muscle spasms, and increased T-cell count which stimulates the immune system.